Kids are already heading back to their local colleges and to Universities across the country. It’s time to let them know you haven’t forgotten about them and here’s a little something to let you know we’re thinking about you! We all know that pizza is virtually every kid’s staple food, it has the three basic food groups; starch, protein, vegetables and there’s no better taste than to combine all those basics into one delicious food…. PIZZA! We’ve included a pizza pan, pizza mix, sauce and yes even a block of Mozzarella! Making a ‘healthy’ meal is fun and easy when you’re talking PIZZA! 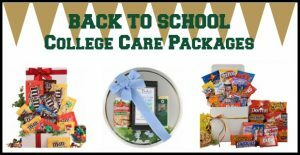 Check out our Dorm Room Pizza Kit today or any of our other College Care Packages available for sending to your favorite college student. We all have those special people in our lives that are heading either out for the first time or returning to the big college scene. We offer a variety of COLLEGE CARE PACKAGES that are welcomed with open arms to our kids and students across the country. We have fun Care Packages that are filled with REESE’S and others filled with assortments of snacks like M&M’s and even some slightly more “meal” worthy like our PIZZA & MUNCHIES CARE PACKAGE where we include a pizza mix (you already know that will be about as healthy as it gets until they come home at the holidays)! Need one with a pizza pan too? We’ve got that as well with our DORM ROOM PIZZA KIT. Don’t sweat the small stuff family, sending a COLLEGE CARE PACKAGES are always a welcomed, appreciated but mostly it’s all about being devoured! We’ve been shipping to colleges and universities all across the country for years and years and we’ve got what kids love. Healthy Family Meals Gift Basket – If this chef is cooking for a large family, then look no further. This beautifully ornate meals gift basket has four tasty meals and a variety of snacks that are guaranteed to satisfy the whole family. Everything is delightfully arranged inside a rustic themed container that can also be used as décor once they’ve finished every last bite. 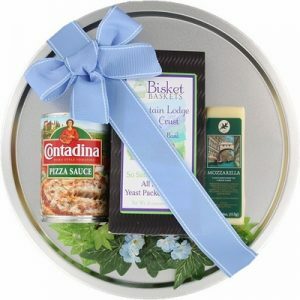 Culinary Keepsake Gift Basket – What makes this one of our most unique gift baskets is the featured pouring bowl. This culinary gift also takes the cake with an All Natural Cookie Kit that made it through the rigorous process of ABC’s Shark Tank! Hearty Chili Fixins Dinner Gift Basket – Your favorite cook will certainly thank you once they’ve tasted the chili and gourmet snacks presented in this unique basket. Don’t forget that you can add a free personalized handwritten message with this basket for any occasion. Browse through Bisket Baskets’ collection of gourmet food gift baskets for more ready-to-prep gifts for chefs. 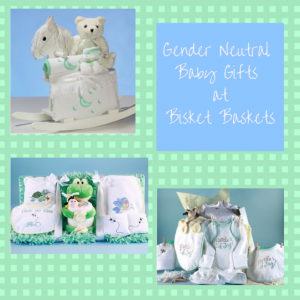 Did You Know We Have Gender Neutral Baby Gifts? The Baby Shower Clothesline gift is a cute way to give the new mom some adorable necessities. A onesie, hat, and bib are just some of the gifts in this box. Plus, the soft green and white colors that make up this gift are perfect for a gender neutral party. 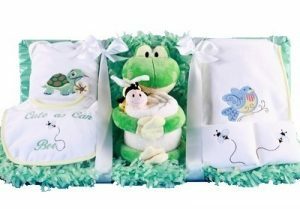 The baby will love this super soft frog that comes in the As Cute As Can Bee basket. Included are a few towels, blankets, bibs, and wrist rattle for the new arrival. Plus, the items are embroidered with friendly animals like a turtle, bird, and a smiling bee. Give a gift that will grow with the baby with this Rocking Horse & Layette gift. Included in this gift is a soft blanket, booties, burp cloth, washcloth, and a soft teddy bear. The centerpiece of this gift is a beautifully made white rocking horse that the child can enjoy for years to come. Check out these and other unique gender neutral baby gifts in our Kids and Baby Gifts section. Find gifts you can personalize, check out a specific theme, or find a gift for a toddler or small child all in one place when you visit us at BisketBaskets.com! Have a theme in mind: A theme will narrow down the decorative aspects of what you should include in your basket. It shouldn’t decide what food and treats go into your basket, but mainly how the basket should look. What kind of basket is this: Do you want to give your recipient treats to snack on or a full meal for them to share or enjoy? Meal gift baskets are great for close friends or family members, while gourmet snack baskets are great for acquaintances or as a thank you to a client. Don’t forget the personal touch: You can build the most beautiful gift basket, but the most personalized touches are in the smallest details. A gift message, preferably hand written, can be the biggest indicator that you care and took the time to give an awesome gift. Building a gift basket can really show your recipient you care. Start building a wonderful gift for someone you love today! 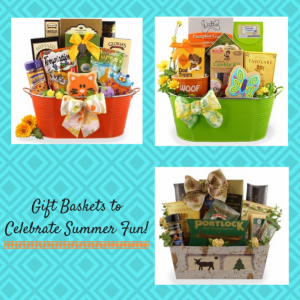 Whether it’s one of our meal gift baskets, a pet friendly basket, or a basket with gourmet goodies, it is sure to be a hit. Sending a substantial gift makes an impression. When talking about your business, or when considering doing further work with you, they’ll remember your basket. They’ll give you another look because you took the time to send a nice gift. Also, sending a nice gift shows you value the relationship you have with your customer. 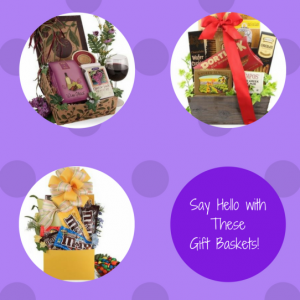 By sending a gourmet gift basket, it shows you appreciate the work you do together. It shows that you care about your client as more than just a client, but as a person. Finally gift baskets are great for sharing. Your client can share the basket with fellow coworkers for a delicious break. Those they share it with will also see how valuable your business is and give them a good impression as well. 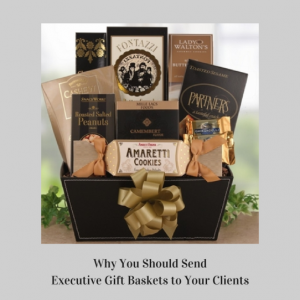 Sending executive gift baskets is made easy with BisketBaskets.com! Shop a huge variety of baskets that fit many budgets and tastes of your clients. Leave a great impression today by sending a basket from Bisket Baskets! A floral cookie bouquet is a cute way to say thanks! When they receive it, they’ll have a hard time deciding to keep it as it is or dig into the delicious sugar cookies! Sweets not their thing? Then send a real bouquet. A happy looking floral bouquet and a thoughtful note is sure to get the gratitude across to a good friend. Celebrate them with a bottle of champagne! They’ll toast your friendship when they relax with a glass. Extra points if you get them chocolates to go with it. 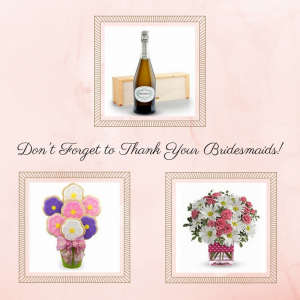 Bisket Baskets has these and plenty of other bubbly, fun gifts to thank your bridesmaids gifts with. Shop now to send a cookie bouquet, gift basket, or something super thoughtful right to their door. Just be sure to add a personalized note with your gift. We’re sure they’ll love whatever you pick out! Sometimes you don’t want to wait for a special occasion to send someone a gift. 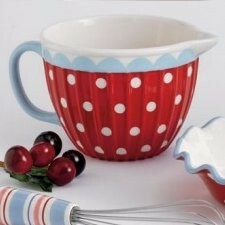 These “Just Because” gifts can brighten someone’s day and make all parties involved feel happy. But what do you send as a “Just Because” gift? Bisket Baskets has a few gift baskets that are a great way to say that you’re thinking of someone. This cute little Rustic Gourmet Gift Basket is a great gift to send “Just Because.” It has plenty of treats that everyone loves, such as cookies, crackers, nuts, and other sweet and savory gourmet snacks in this basket. Your recipient can even reuse the rustic looking container for storage or decoration later. M&M’s are easily one of everyone’s favorite candies. 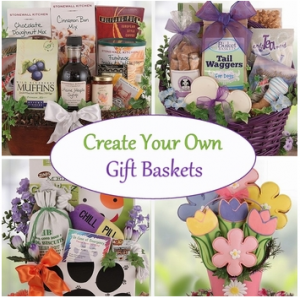 Send an assortment as a “Just Because” gift for a sweet surprise! The M&M’s Candy Gift Basket has a mix of fun sized and full size M&M packages. They also range in flavors from original, to pretzel, and peanut. Regardless of what combination arrives, your recipient will enjoy the candy! Wine is always a great “Just Because” gift. Switch things up and send a Wine and Cheese Gift Box instead of the one bottle. This box has snacks that will go with their favorite bottle and a mix for Wine Glace. They’ll have fun experimenting with this Wine-a-Rita mix while enjoying their gift. A “Just Because” gift is a great way to say hello or that you’ve been thinking of someone. Bisket Baskets has gift baskets for any occasion, but you can find the best “Just Because” present here too! Shop today to make someone’s week so much better!